The variety of vendors that are participating in the 2017 Ottawa Health and Wellness Expo ensures that the event will once again provide quality health and wellness products, services and information to our city. We are excited about the companies getting involved and want to share more about who the vendors are and how their business fits in to the Expo’s passion for seeing Ottawa the healthiest city in Canada. Between now and the Expo, we will be highlighting some of these amazing vendors. Stay tuned to our blog as we feature our vendors in a special vendor spotlight review. Bee Real Products operates out of Eastern Ontario and is a small establishment that handles every product, personally, with the utmost care and attention. Bee Real Products are developed with natural ingredients that will enhance your natural beauty. The products contain 100% natural ingredients that are free from fillers, water, and alcohol. In addition, these amazing products are infused with Reiki so that users receive the healing energy that Reiki provides. 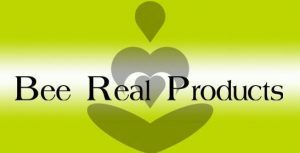 Bee Real products consist of mineral makeup, facial and skin care, natural deodorants, and several others. The products can be purchased from the Bee Real Website. While on the website be sure to browse through their all-natural products! As water is the basis of life, it is necessary for humans to consume the most healthy, clean, and safe water that is available. Aqua Health Products recognizes how essential safe and healthy water is. They have designed a line of quality water ionizers and filtration products to maximize the health benefits of water consumption. Alkaline ionized water is jam-packed with health benefits that have helped fight diseases such as arthritis, skin conditions, digestive conditions, fatigue, chronic pain, cancer, and several more. Ionized water contains properties that contribute to restoring the body’s pH balance, improves cellular hydration, and acts as an antioxidant. Aqua Health Products has carefully designed each product to maximize quality, performance and durability. The products act as great additions to your kitchen appliances and range from electric water ionizers to stand alone water filters. Other products include Vortex Water Revitalizers, which takes ordinary tap water and transforms it into great tasting, high quality, hydrating drinking water. Visit their website to learn more about the amazing benefits of alkaline ionized water and why you should incorporate it into your healthy lifestyle. Back 2 the Garden believes that health is the root source of successful goal accomplishments. By increasing the nutrients your body receives, you will decrease stress and ultimately be able to pursue a sustainable healthy lifestyle. 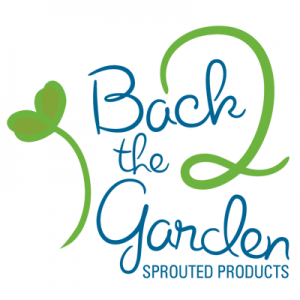 Back 2 the Garden encourages its consumers to attain a healthy lifestyle by providing nutrient packed sprouted products that will give your cells the necessary energy that they need to function properly. Back 2 the Garden’s products can be incorporated into your diet effortlessly as they can easily be added to smoothies, salads, and even soups. The products range from sprouted chia seed powder to sprouted broccoli seed powder, and many more. Additionally, they offer organic and gluten-free superseed products. Their facility has the ability to not only sprout grains and seeds but to mill, blend and package as well. They are available to help you with creative ideas on coming up with your own specialty blend that can be packaged to sell at your location. Take the time to visit their website to find out more and be sure to have a look at their 21 day challenge. This challenge incorporates small lifestyle additions that will increase your nutrients intake, decrease stress levels and will overall increase your health benefits! You can purchase Back 2 the Garden’s products online or in a variety of health food stores across South Western Ontario. Be sure to follow them on social media and find out more information on their website. Originally from North Africa, Biosecrets’ owner, Sihem Benali, has a passion for argan oil and empowering hardworking Berber women through her business. Sihem’s products are 100% pure Moroccan Argan Oil and are hand produced by Berber women. Sihem prides herself on providing the safest and most natural cosmetics alternatives. This organic, eco-friendly oil is free of chemicals and perfumes and is delivered straight from the tree to the bottle. With the use of Biosecrets’ high quality Argan oil, your hair, skin, and nails will greatly benefit. Moroccan Argan Oil contains several active ingredients that will improve your skin and hair; vitamin E and fatty acids are amongst these ingredients. Argan oil can also be used to treat acne, eczema, scars, and much more! Check out Biosecrets to learn more about Sihem’s story and the positive impact that her business has had on the Berber community of Morocco. Additionally, Biosecrets products can be found in a variety of health food stores in Ottawa, ON. Find Biosecrets on social media. Junk That Funk has been servicing Ottawa and surrounding areas since 2007 specializing in the removal of any unwanted items. We pride ourselves on an environmentally sensitive approach to waste/junk removal. We recycle up to 80% of each load. We are one of Ottawa’s leading e-waste collectors, known for our free E-waste drop-off events. In 2016, Junk That Funk hosted 23 events and had over 5500 drop off’s. We collected and recycled over 185 tons (375,000 lbs) of unwanted electronic waste just from our drop off events. Many of the LCD monitors and computer keyboards that were collected have now found extended use in overseas schools helping young students become acquainted with computer technology through the World Computer Exchange non-profit organization. We are also working with “Their Opportunity“, a non-profit organization that provides low-income families with the means to enroll their children in local sports programs. Junk That Funk has won the “Community and Support Award” for our dedicated commitment in 2016. We are thrilled to partner with the Expo this year and provide an e-waste collection depot. Watch our video on what an E-Waste Collection Depot is. We will be on-site all day Saturday, January 28th collecting your old electronics. Dietary restrictions no longer have to be a battle in the kitchen thanks to The Mix Company’s unique products. The Mix Company specializes in a variety of gourmet mixes that are suitable for gluten-free diets and are allergen friendly. The Mix Company offers ideal breakfast, lunch and dinner options with products that range from hearty and creative soup mixes to delicious pancake/waffle mixes. Not only are the mixes made in their gluten-free factory, The Mix Company’s products are created with high quality ingredients that are completely free of GMO’s, sugar, yeast, and dairy. The Mix Company’s products can be purchased from a variety of retailers in the Ottawa Valley and surrounding areas. Visit their website to find a location to purchase their amazing mixes. Be sure to stop by at The Mix Company’s Booth at our 11th annual Ottawa Health and Wellness Expo! Healing Hands RMT provides their clients with excellent customer service experiences which is reflected by their winning of the Orleans Chamber of Commerce Award since 2007. Visit their website to book an appointment online. 9Round encourages individuals to get in shape through a unique kickboxing themed fitness program. 9Round’s specialized program offers a fun and exciting approach to fitness that truly guarantees results. The kickboxing program involves nine challenging workout stations that incorporate cardiovascular and resistance training, which are designed for all fitness levels. 9Round’s full body workout program allows you to maximize results in the short time frame of thirty minutes. Some of your workout accomplishments will include: burning large amounts of calories during your workout and for several hours after, strengthening muscles, boosting endurance, stress relief, increased energy and many more. 9Round utilizes qualified trainers that will assist you in achieving results. Visit their website to learn more information and to sign up for a free workout! 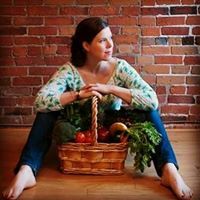 Eating Well Ottawa is an online grocery service that delivers local, organic, and fresh products straight to the consumer’s doorsteps. 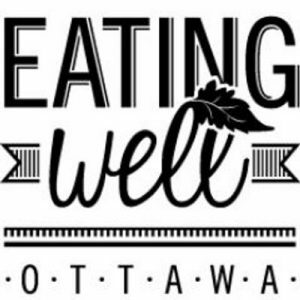 Eating Well Ottawa seeks to promote healthy living and sustainability by actively supporting local farmers and suppliers in the Ottawa region; their motto is local, regional, Canada first! The company prides itself on the quality of their products by ensuring that their produce is certified organic and non-GMO. Not only does Eating Well Ottawa provide access to local food, it allows consumers to be a part of a movement that benefits personal health and reduces environmental impact. Consuming fresh and organic local products is an easy and convenient process due to Eating Well Ottawa’s service. To receive the products, sign up and create an account at www.eatingwellottawa.ca. Choose a box or build you own and pick which size works best for you. The boxes are categorized into “Local Box” and “Harvest Box”. Eating Well also supplies Office Boxes if you are interested in promoting a healthy environment at work. Additionally, you have the option of adding on other healthy items to your order. Produce is guaranteed to be fresh as it is delivered within 48 hours. Feel good about what you eat by knowing that you are supporting fair-trade practices and local, Canadian Farms with Eating Well Ottawa.